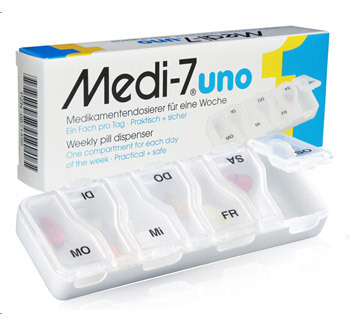 Medi-7uno is a reliable help for everyone who takes prescription drugs daily. 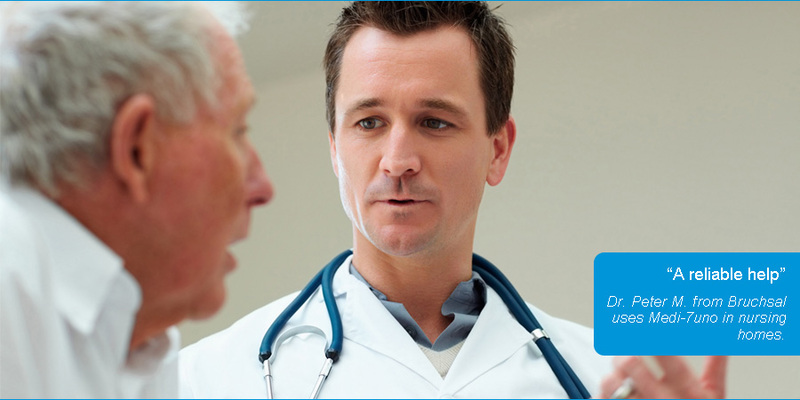 Medi-7uno serves to regulate and control the intake of prescription drugs from the doctor. Medi-7uno is easy to use and clear. The big single cases offer enough space for the intake of multiple medicines. Medi-7uno, a case for every day, practical and safe.